You’ve heard the phrase – he’s like marmite – you either love him or hate him right? Well if Autosports sources are correct (and they rarely aren’t), hell has frozen over – Fernando is coming back to Woking. The McLaren fans version of marmite. Interestingly as many of my fellow Mclaren fans are disgusted at the news as there are those of us who think it’s positive. This is a key piece of Honda and McLaren “throwing the kitchen sink at it”. Big technical signings, another top driver, it’s a big statement of intent. It’s with that thought that I’d also expect McLaren to re-sign Jenson to partner. I am a big fan of Kevin Magnussen, but you can’t underestimate how much points plays into a serious constructors bid. 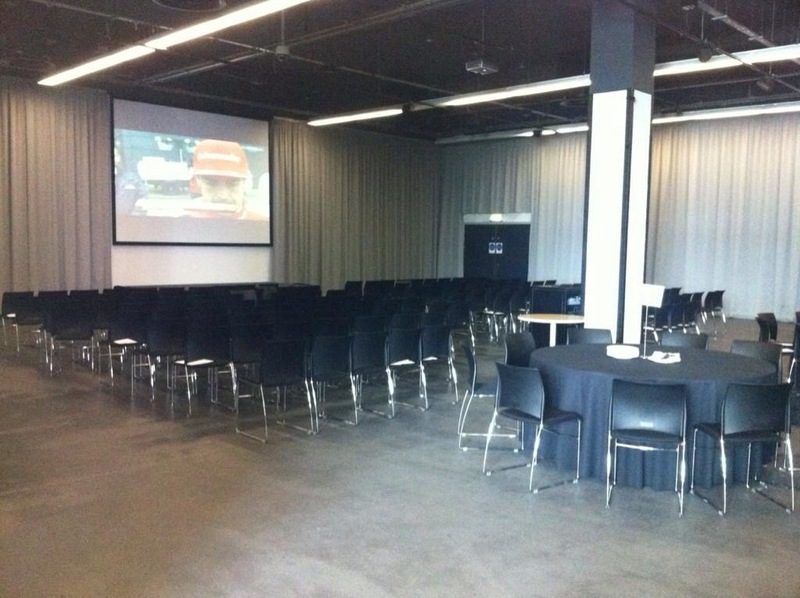 I joking tweeted in 2011 the following picture taken at Mercedes Benz World in Brooklands with the caption “a meeting of the Fernando Alonso mclaren fanclub meeting). I’d heard in early October about the possibility of an Alonso deal and couldn’t quite believe it. But I’ve got to say he’s a great driver and we need a huge push to get the team back where it belongs. It will be interesting to follow over the next week or so whether this does play out or not. It certainly provides an interesting side story to the big WDC battle between Rosberg and Hamilton. Possibly the best battle we have seen for many years. Imagine a McLaren “prodromou” B spec car getting in the middle of the title battle in Abu Dhabi! When Lewis Hamilton entered F1 in 2007 he surprised many with his raw talent, amazing pace and fantastic overtaking. He was very unlucky not to be world champion in his first year of F1, yet we will enter 2014 with only one world championship for Lewis – a return which many people think is poor given the drivers ability. And in the same time a friendly german chap called Seb has arrived and taken full advantage of good machinery to win 4 championships in a row. Now put them both in the same car, and I think it would be very close indeed. But for now Seb has the better race car and as Lewis has himself admitted, his first year at Mercedes did not live up to the high standards he sets himself. So what is the source of the perceived underperformance? Well I’ve spoken to quite a few people in and around F1 at length on this one and there are three recurring themes. Fantastic talent, surrounding himself with the wrong people, and being too open about his own shortcomings (too critical and giving a negative perception). Many of those like me, that love the racing driver he is, but struggle to like the other shitstorm that surrounds him (rap stars, living his life out in the papers), just wish he’d get back to basics. I read a fascinating article from 2007 recently in the Guardian by Paul Kelso heralding Lewis as one of a new breed of sportsman. Six years on, and all three sportsmen mentioned have reached the top echelon of their respective sports, but are arguably yet to scale the heights that their natural talent suggested was possible. I imagine it would be interesting to see what different off seasons look like for Seb and Lewis. And whether that contributes to what Lewis felt last year was underperformance. The mental side of top line sport I think is incredibly important, and is one where Lewis has shown increasing signs of fragility. Looking at Tiger Woods in his early career, there was a feeling before the other golfers stepped out onto the course that they were playing for second place. Indeed since that aura of invincibility has been taken away, Tiger has struggled to regain the type of dominating performances we used to see week in week out. A top sports psychologist could probably help many of the drivers, Lewis included. Now despite many thinking Lewis has lost his way, it might be that next season he will finally feel at one with his Mercedes. I sincerely hope so. But in the event Nico outperforms him, I do fear we may not see him in F1 for the long term. And that would be a great shame…. especially if he takes up singing. As a huge Hulkenberg fan, I’d like nothing more to see him in a top car, however many fans seem to be completely missing the financial considerations at play here. The boys and girls down at Enstone are a fantastically committed and experienced bunch. 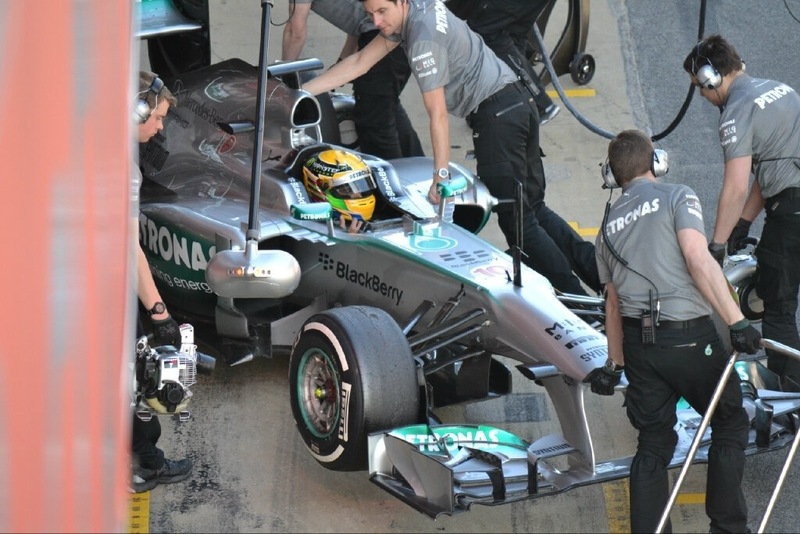 Yet like many teams of late in F1, financing and sponsorship has been largely difficult to come by. It’s with that in mind that I fully understand why this deal is attractive. Maldonado is a quick driver, who has been erratic this year. He is, however, very capable of putting a good season together in a solid car. And with a good financial deal now in place, the stability of the team is surely now confirmed. So that’s why I’m tipping him to do well at Lotus next year, despite his detractors. Much like the bandwagon many jumped on last year with Romain Grosjean, I suspect in time he will come good. Don’t worry mate – you definitely made your Mark. 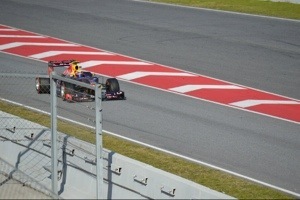 When Mark Webber signs off from F1 tomorrow, we will lose one of the great current personalities in F1. A straight-talking, honest driver, less interested in saying what is expected and more interested in playing a straight bat – must be a PR nightmare at times. I was gutted in 2010 when Mark very nearly achieved his dream, only to go off at the Korean Gp when it all looked so promising. There will be much written about Mark over the next few days, but whilst reading James Allen’s blog (James Allen on F1) perhaps just what a loss he will be to the sport becomes apparent. It wasn’t in James’ summary of Mark that the qualities shone through. 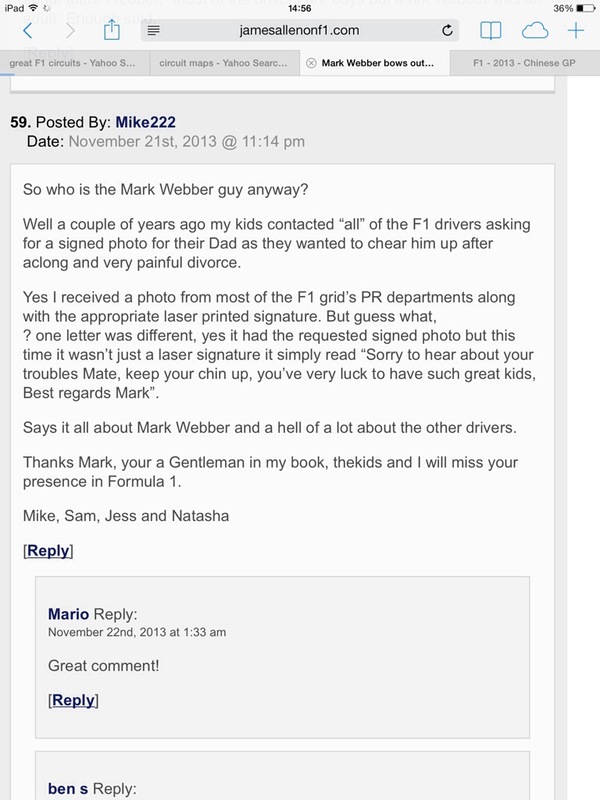 It was in the comments section at the bottom – this sums up the type of guy I’ve imagined Mark to be – the only F1 driver most of us would enjoy going for a beer with. You see you can have your team writing the stuff for you, or sending a generic signed picture out, but you can’t buy class like that. So Mark, I’ll be rooting for you tomorrow mate. Best of luck with Porsche. They’ll be getting a great driver. And if you ever fancy that beer…. So now its official – Kimi will be missing the final races of the season to get his back sorted for next year. Whilst his departure from Lotus has been less than ideal, and the very public nature of his pay dispute, the partnership has gone well. Romain Grosjean is looking a lot more complete a driver having had someone else taking a lot of the publicity for the last couple of years. He’s ready for shouldering that additional leadership role next year. The intriguing aspect of the driver market now is who will replace Kimi. Personally I think if Lotus could secure Nico Hulkenberg that would give them the best younger driver lineup in F1. 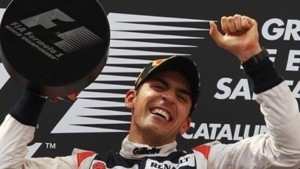 Although having a well financed quick driver like Pastor Maldonado could tick a lot of boxes for the chaps at Enstone. I’m still convinced Pastor in a good car is eminently capable of consistent race winning. You could also make a case for promoting Davide Valsecci – someone who has shown enough promise to warrant a step up. But then, Hulkenberg would presumably only get the drive if the ever elusive Quantum deal comes to fruition. How many times have we seen these wealthy mystery buyers sneak of into the sunset again. Who would you like to be in the second car next year? Kimi – right or wrong? I was surprised yesterday to read quite a lot of criticism of Kimi, regarding his potentially not driving for the remainder of the season for Lotus. Personally, if someone refused to pay my wages for the full year to date, I’d feel fairly well justified in at least considering withdrawing my labour. Whilst you’d argue an F1 driver is slightly different from an average person, I’d imagine finances are becoming fairly tight for Kimi. I’d be interested in getting peoples views in the below poll – Is Kimi well within his rights, or completely wrong? Having finally gotten around to watching Rush this evening, I was reminded that the hero of the story is actually Niki Lauda. It is a matter of record that Niki was world champion in 1975, ’77 and ’84. Had we not already known of the events of 1976 season involving Lauda, one could be forgiven for thinking his role in the 1976 season was a work of pure fiction, yet alone the two world titles still to follow. Niki’s refusal to succumb to the injuries he sustained at the nurburgring (a crash which looked almost certain to be a fatal event) was a miracle in itself. Then coming back to Grand Prix racing 6 weeks later is an event that this author was too young to see first hand. However if one cannot find such a fightback inspirational then goodness knows what is. And his 4th place finish at Monza on his comeback stands as probably THE standout drive in the history of F1 in my opinion. Because it should not have been possible – sheer bloody willpower and bravery beating medical science and the balance of probabilities. But it is not the Monza race that I believe to be the single biggest act of bravery in ’76. It was in fact his withdrawal from the race at the Japanese Grand Prix and the likely handing of the title to James Hunt – which showed what he’s made of. Knowing when live to fight another day – literally in that era. Now I can stand on record as saying I have been critical of Lauda and certain events and actions in his involvement in F1 recently (indeed I believe he could probably start a fight in an empty room with his PR skills) – notably at Jaguar. I cannot help but admire Mr Lauda. Indeed the events of 1976 serve as a reminder, that if you want something enough, you can make it happen. And equally, that if you’re intelligent enough to know when to pick your battles, you can live to fight another day. And maybe it is exactly this that has driven Robert Kubica onto his WRC2 title.